PetVision, an interactive touch wall, greets guests as they enter the Welcome Lobby. 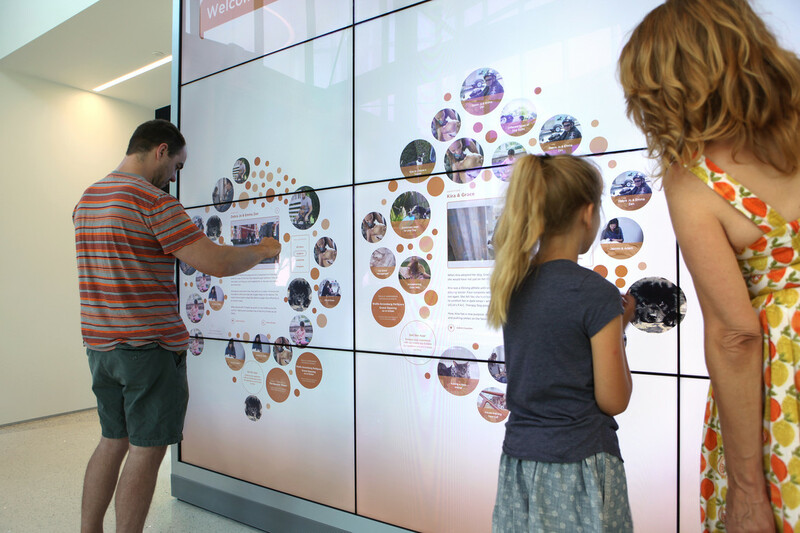 Visitors can read Annenberg PetSpace™ community stories and learn about the human-animal bond. Each pet adoption suite features a PetBook station. PetBook initiates a conversation between pet and person, featuring quizzes about that pet's specific needs and other notable examples of the human-animal bond. 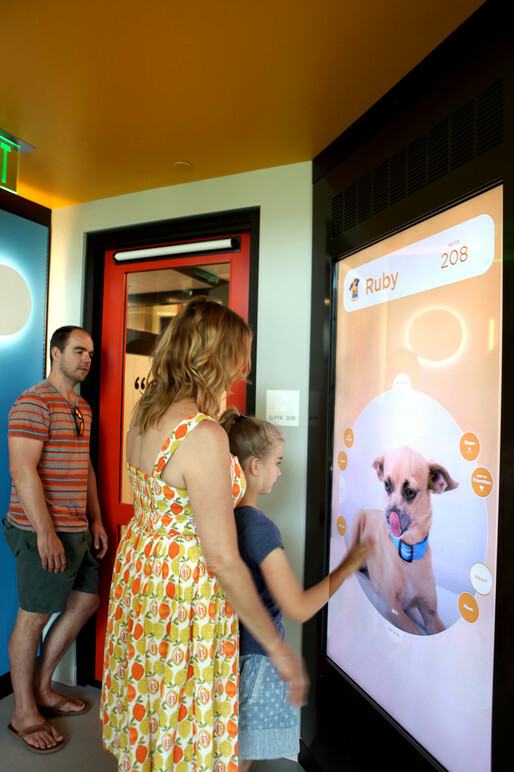 Each adoption suite as a unique theme, and allows pets to smell their visitors using small holes in the viewing window. Visitors learn about adoptable pets at PetBook. The Wag Center Gallery focuses on the human-animal bond. 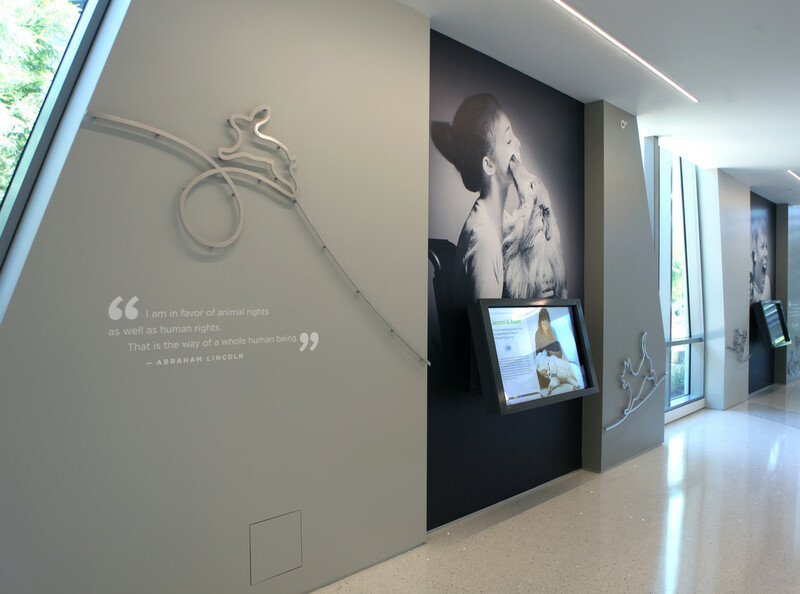 Guests can read stories from the series "The Unbreakable Bond," and explore the Annenberg PetSpace™ community. 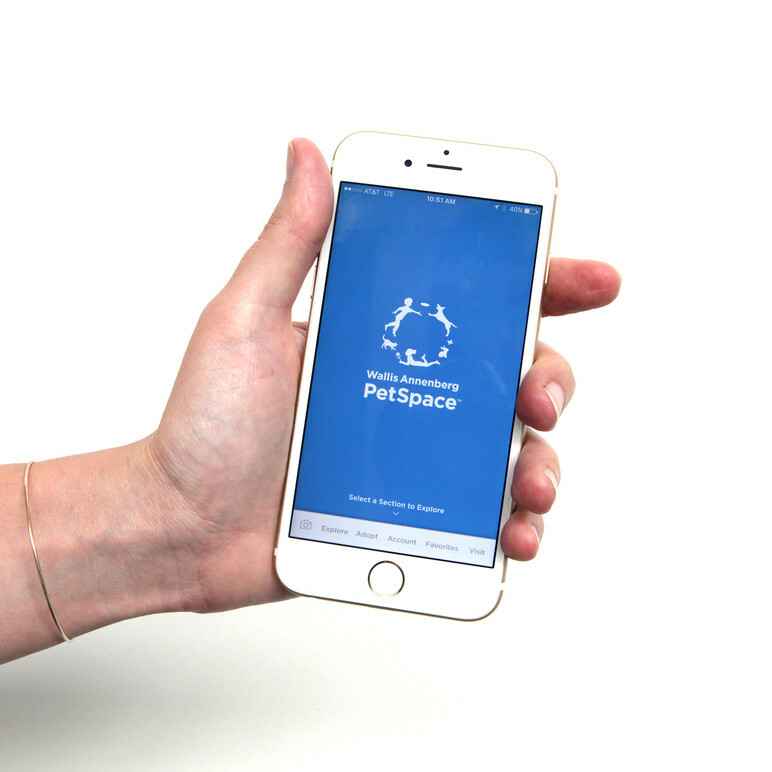 The Wallis Annenberg PetSpace™ Mobile App loading screen. 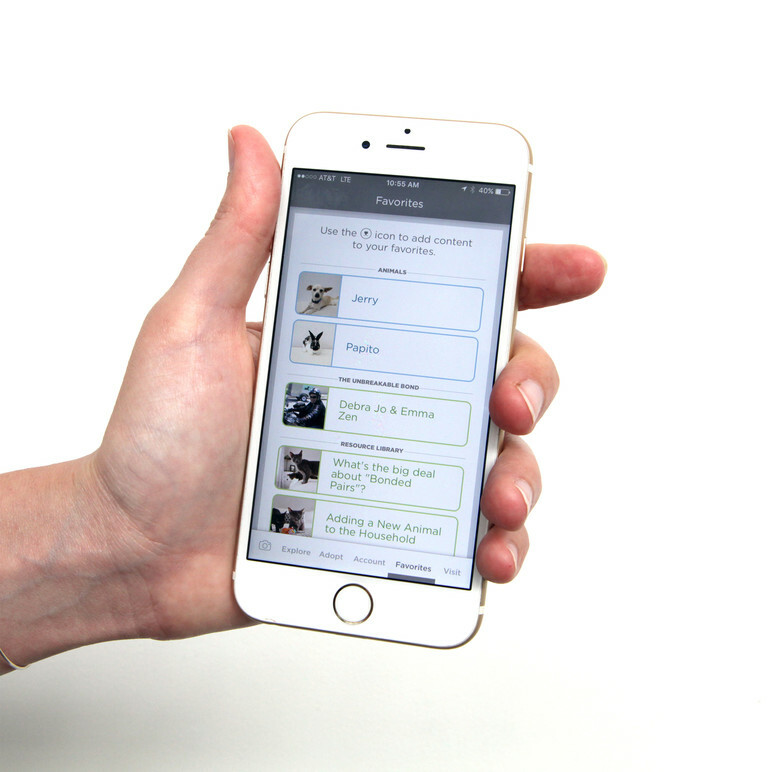 Visitors can explore a wide variety of stories on the Wallis Annenberg PetSpace™ Mobile App. 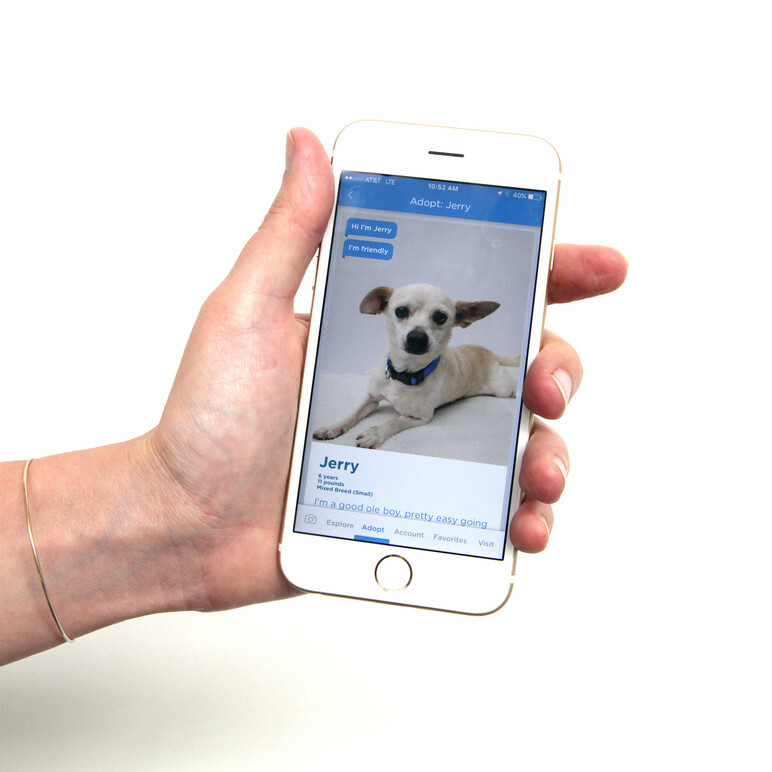 A gallery of currently adoptable animals is accessible through the app. 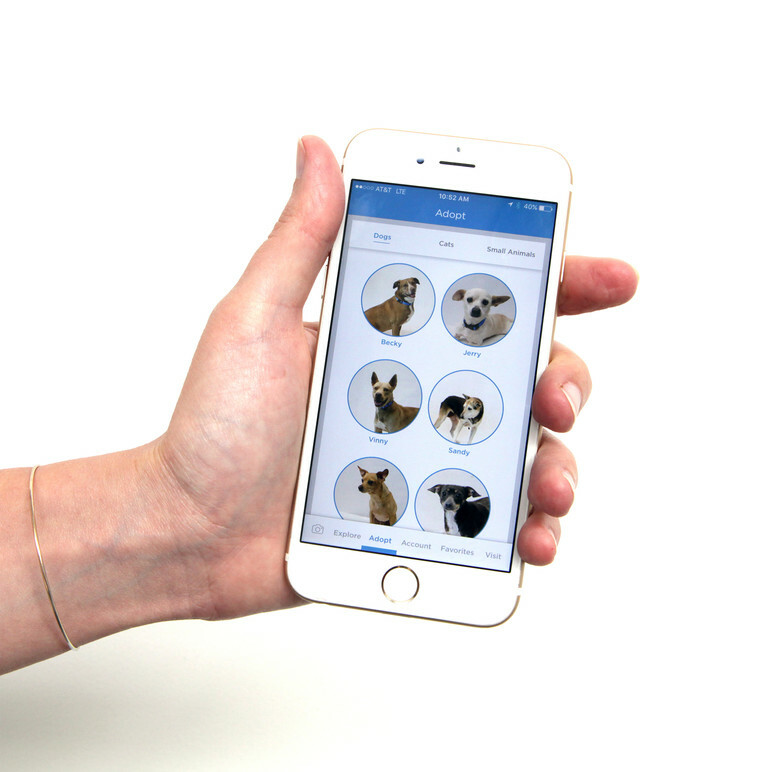 Users can tap on the pet's image to learn more about them. 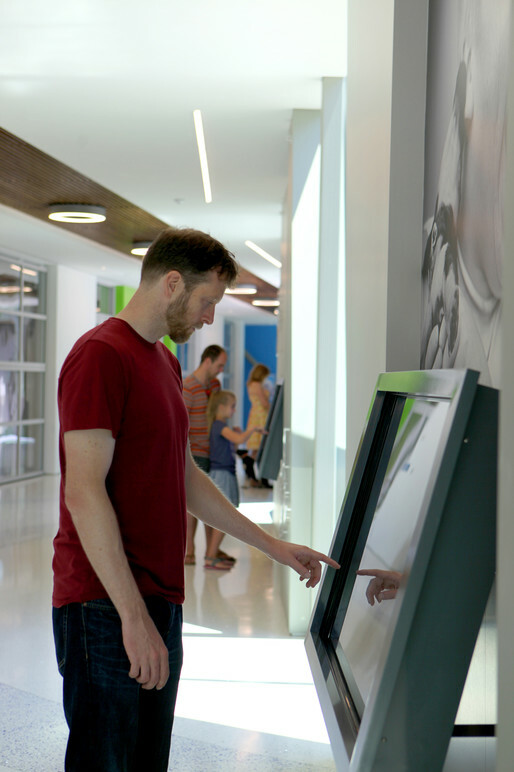 In the Resource Library, visitors can learn about pet adoption and the human-animal bond. As they browse, visitors can save stories and adoptable pets to their "Favorites." 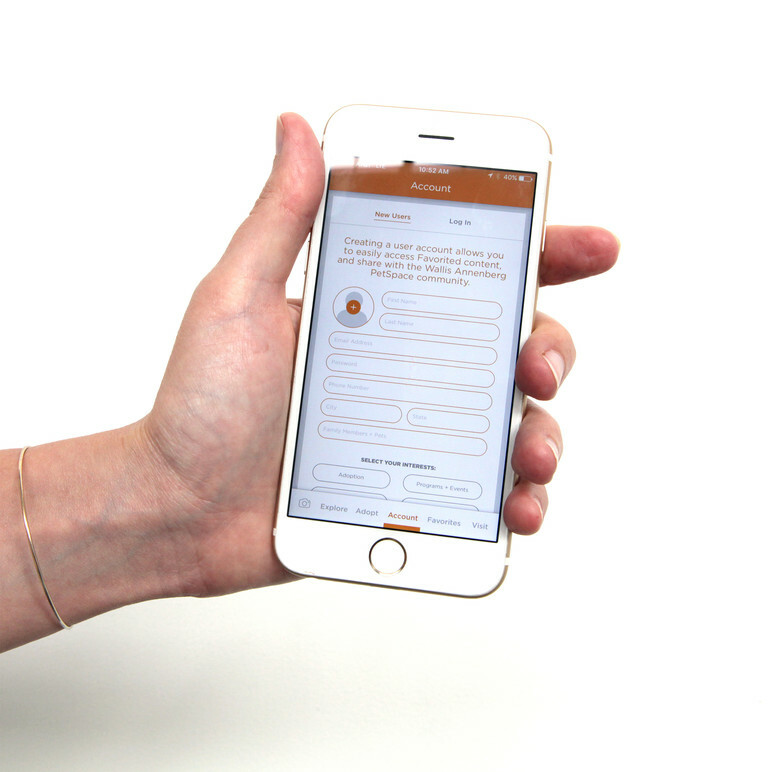 Account-creation is simple and streamlined, and lets guests stay in touch with Annenberg PetSpace™. 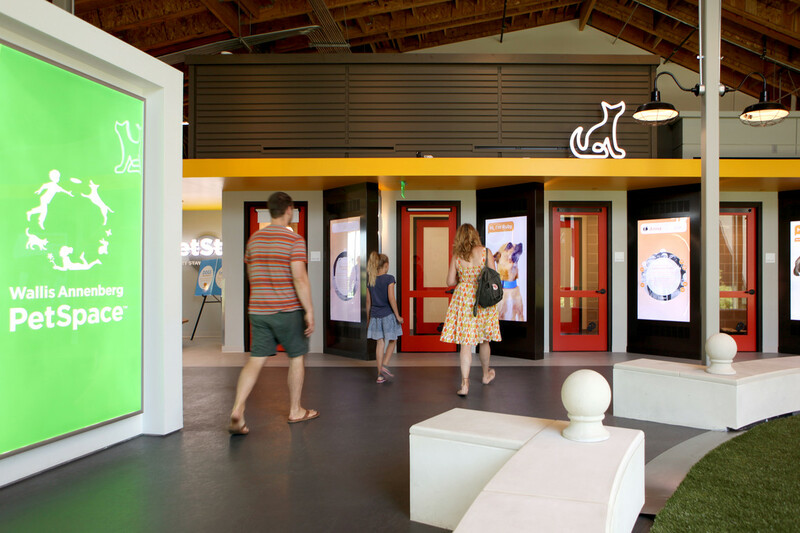 Belle & Wissell co-created a suite of playful interactive experiences with Storyline Studio (and an array of project partners) for the Annenberg Foundation’s newest community initiative—the Wallis Annenberg PetSpace™ in Playa Vista, California. 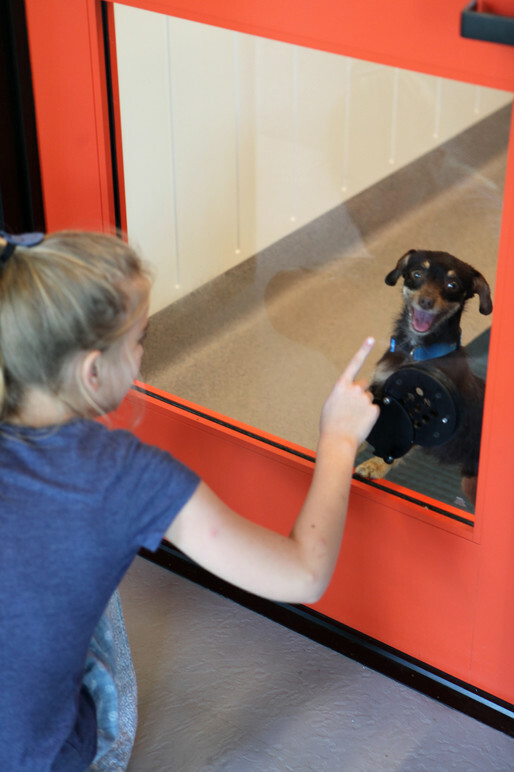 A meeting place for people and pets alike, Annenberg PetSpace™ houses adoptable animals and facilitates their placement, educates the public on responsible adoption practices, and celebrates the human-animal bond. 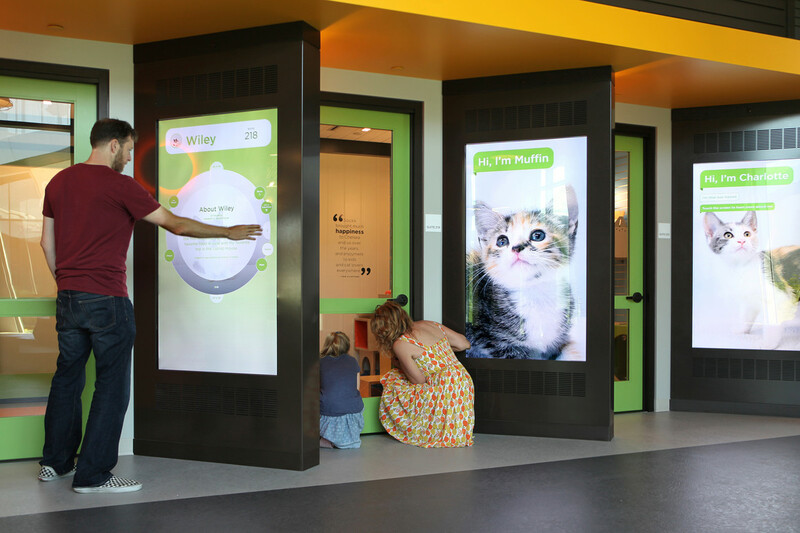 Visitors can connect with the Annenberg PetSpace™ community in meaningful and collaborative ways using four unique interactive experiences, including a downloadable, location-aware mobile application. 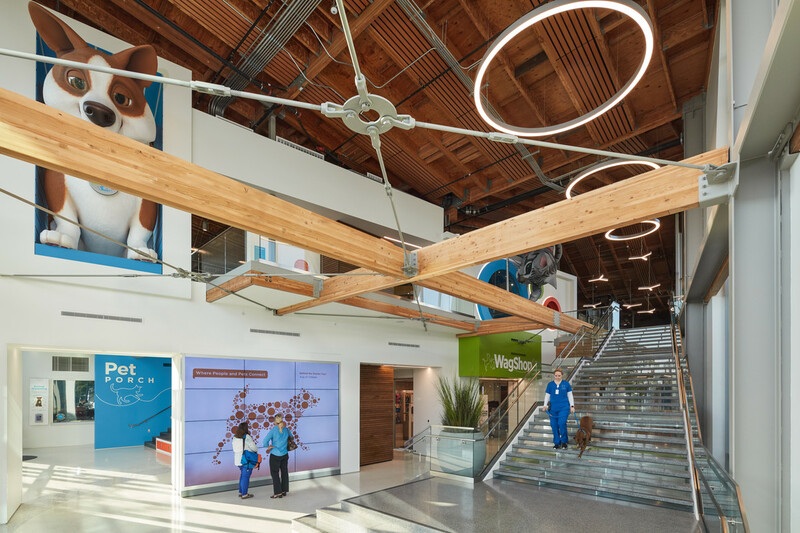 Belle & Wissell worked closely with the client and broader project team to conceptualize, design, and execute a seamless interactive approach that extends throughout the facility. 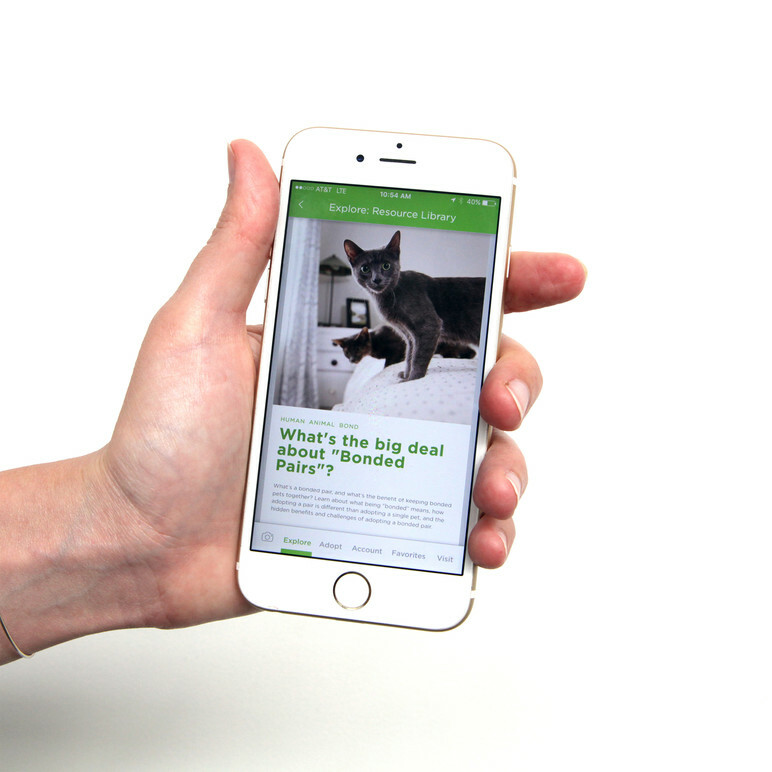 The Wallis Annenberg PetSpace™ Mobile App offers the visitor full access to the facility’s resources, featuring the ability to favorite and share stories, articles, and adoptable pets. 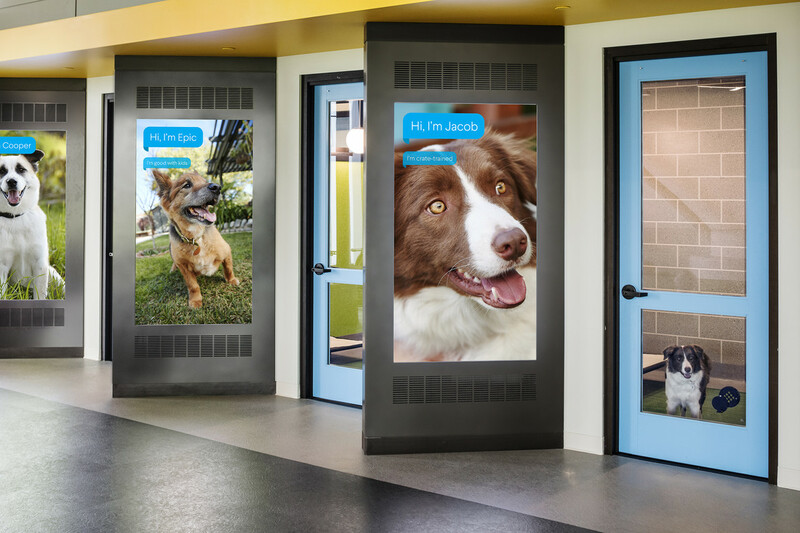 Guests can also use the App to submit their photos to PetVision—a huge, interactive touch wall located in the Welcome Lobby. 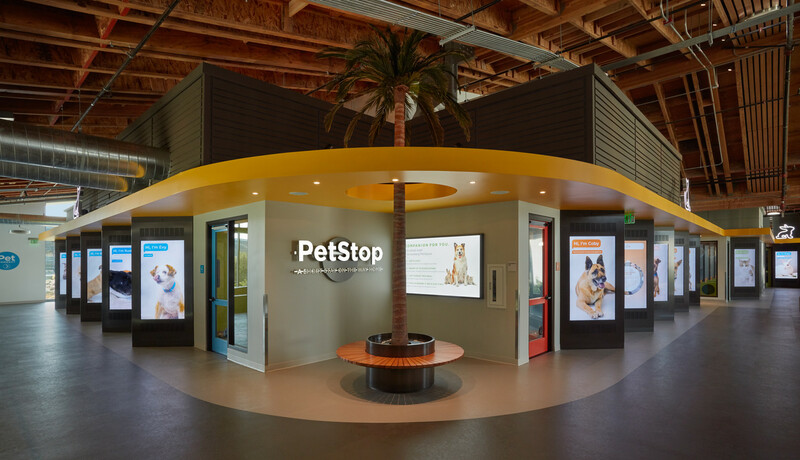 PetVision acquaints visitors to Annenberg PetSpace™ with informative content and an entertaining, lively interface. Adjacent to each animal suite, PetBook stations introduce each available pet by summarizing their care requirements and the adoption process. In addition to promoting responsible pet adoption, Annenberg PetSpace™ celebrates the mutually beneficial and dynamic bond between people and their pets. These relationships are showcased in the series “The Unbreakable Bond” at the Wag Center Gallery. 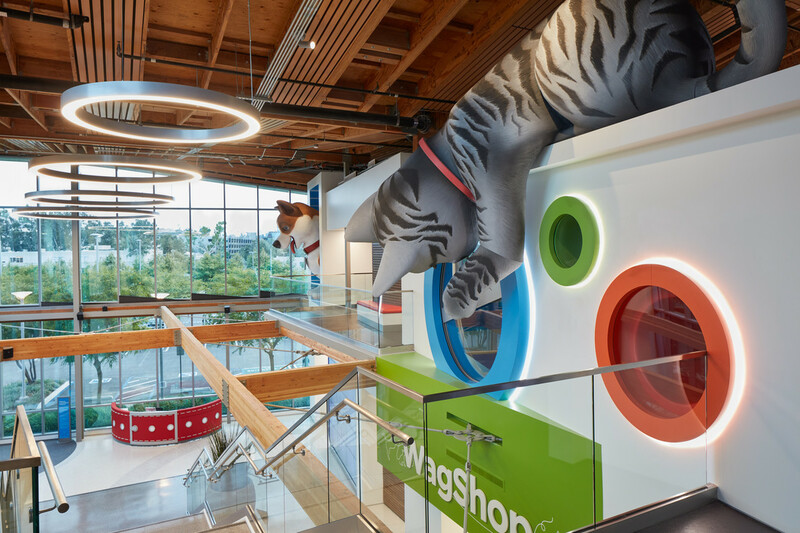 Annenberg PetSpace™ works to better the lives of pets and people, honor the human-animal bond, and impact Los Angeles pet-lover communities. Belle & Wissell worked alongside exhibit designer Storyline Studio, fabricator Cinnabar, and brand agency Omelet to foster an appealing, intuitive, and educational atmosphere in which to pursue these goals.